The Danish design couple Tove & Edvard Kindt-Larsen designed from the 30’ies and ahead a number of ground-breaking furniture. Through an inspiring co-operation with Kindt-Larsens son, Ebbe Kindt-Larsen, Onecollection is now proud to present the swivel stool from 1957. This delicious piece is executed in an incredible cabinetmakers quality. 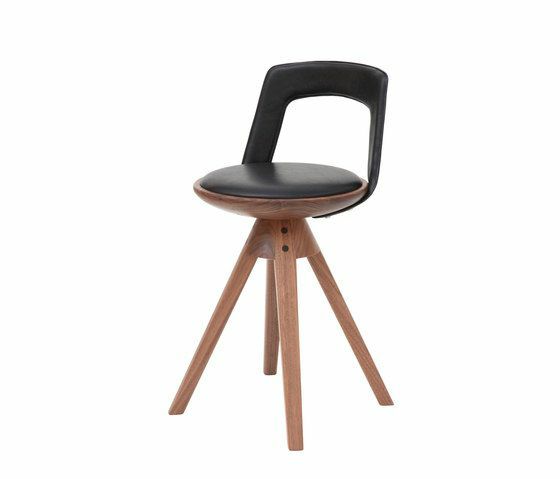 The stool is available in walnut or ash wood and upholstered with natural leather.